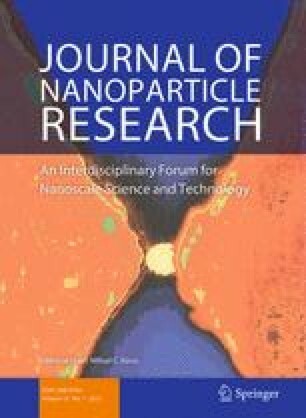 Thermally denatured human serum albumin interacts with ~3.0 nm spherical AgNP enhancing the fluorescence of Trp-214 at large protein/nanoparticle ratios. However, using native HSA, no changes in the emission were observed. The observation is likely due to differences between native and denatured protein packing resulting from protein corona formation. We have also found that NH2 blocking of the protein strongly affects the ability of the protein to protect AgNP from different salts/ions such as NaCl, PBS, Hank’s buffer, Tris–HCl, MES, and DMEM. Additionally, AgNP can be readily prepared in aqueous solutions by a photochemical approach employing HSA as an in situ protecting agent. The role of the protein in this case is beyond that of protecting agent; thus, Ag+ ions and I-2959 complexation within the protein structure also affects the efficiency of AgNP formation. Blocking NH2 in HSA modified the AgNP growth profile, surface plasmon band shape, and long-term stability suggesting that amine groups are directly involved in the formation and post-stabilization of AgNP. In particular, AgNP size and shape are extensively influenced by NH2 blocking, leading primarily to cubes and plates with sizes around 5–15 nm; in contrast, spherical monodisperse 4.0 nm AgNP are observed for native HSA. The nanoparticles prepared by this protocol are non-toxic in primary cells and have remarkable antibacterial properties. Finally, surface plasmon excitation of native HSA@AgNP promoted loss of protein conformation in just 5 min, suggesting that plasmon heating causes protein denaturation using continuous light sources such as commercial LED. The online version of this article (doi: 10.1007/s11051-012-1374-7) contains supplementary material, which is available to authorized users. This work was supported by the Natural Sciences and Engineering Research Council of Canada. We thank Michel Grenier who designed the LED irradiation system, as well as for his support in laser flash photolysis measurements. EIA. thanks Becas Chile for Post-Doctoral support. HP thanks the Programa de Doctorado en Ciencias Aplicadas at Universidad de Talca, Chile for financial support. We would like to thanks Prof. Christopher Boddy, University of Ottawa, for providing the bacterial strand employed in this work.